If you are buying, selling, or refinancing real estate in Miami, it’s important to hire an experienced Real Estate Lawyer Miami Attorney to protect your interest and your financial investment. It pays to protect your interests with an experienced Real Estate Closing Attorney Miami Lawyer who can oversee one of the largest financial transactions most people ever make. At the Miami Law Firm of Marrero, Chamizo, Marcer Law, LP, our Real Estate Lawyer Miami Florida Attorneys have over 30 years experience with commercial and residential real estate transactions. Our Real Estate Closing Attorney Miami Lawyers have successfully completed thousands of Florida Real Estate Transactions are here to make sure you get everything you think you are getting from your real estate transaction. We offer a free case review. We are a bilingual full service law firm serving clients from all over the world who are buying, selling, or refinancing real estate in South Florida throughout Miami-Dade, Broward, and Monroe County. If you are buying, selling, or looking to refinance residential or commercial real estate, the other parties involved in the property transaction are not looking out for you. Your real estate agent may only be interested in making a sale and your mortgage lender is only worried about their profit. He or she does not have a legal duty to serve your best interests. Our Real Estate Lawyer Miami Attorneys do. Buying, selling, or refinancing a commercial or residential real estate property should be a happy and rewarding experience. 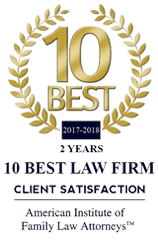 Our Real Estate Lawyer Miami Florida Attorneys and staff will work hard to make sure you receive everything you expect from your real estate transaction. We are here to answer your questions and protect your interests at every stage of the transaction held at our conveniently located Real Estate Law Firms Miami office. Don’t be the only person in the transaction who is not represented by a Real Estate Closing Attorney Miami. Contact our Real Estate Law Firms Miami office at 305-446-9466 to speak with one of our Real Estate Lawyer Miami Florida Attorneys.